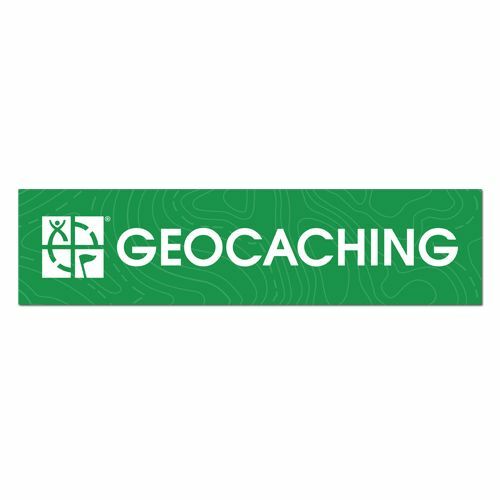 This is an all weather vinyl peel and stick bumper sticker that features the official Geocaching name and logo. This item is not trackable. Dimensions: Approximately 11.25 inches x 3 inches.